Two years removed from the onslaught of Yolanda, the people and the town is slowly but surely on the road to recovery, and Jollibee hopes that the opening of a new store will bring them a new reason to smile as they provide not just employment, but a place for families to bond and make new happy memories. "We dedicate our 900th store to the people of Leyte who exemplified resilience, optimism, and hope despite the challenges they face. They have shown us and the world that the strength of the Filipino family can overcome any obstacle, and there is always a reason to smile and look forward to better days," Joseph Tanbuntiong, president of Jollibee Philippines, said. The blessing of the 900th store was graced by Tanbuntiong and members of Jollibee Philippines' leadership team together with Leyte's Governor Mic Petilla represented by first district board member Bob Abellanosa, Hon. Junie Agner, and other municipal councilors. The blessing ceremony featured a cherished Jollibee tradition - the slicing of the giant Yumburger and the burger toast. A special commemorative marker, featuring the winning art piece of Niño Cris Odosis in the 900 Reasons to Smile Art Competition, was also unveiled during the program. Entitled 'Ipinintang mga Ngiti', the artwork captured how the people of Palo have remained positive until this day as they push for the development of their town. The winning artwork was awarded a special cash prize and corresponding contribution was made to the artist's chosen advocacy group, Guhit Pinas. 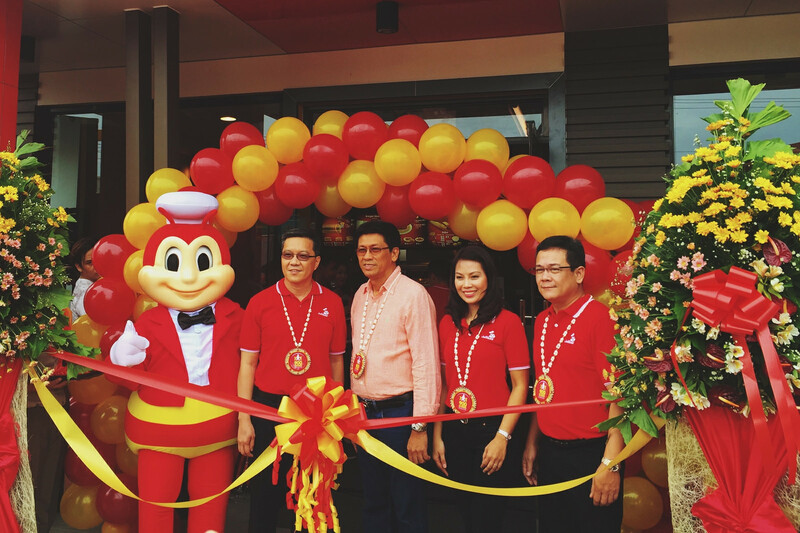 Making the 900th store opening more special is the significance of the milestone for the company, as it also marks the renewed commitment of Jollibee in helping the poeple recover fully from the tragedy that struck. With "Sama-sama sa Pagbangon Leyte" as the campaign catch phrase, Jollibee also launched new initiatives to complement the continuing efforts of the Jollibee Group Foundation. 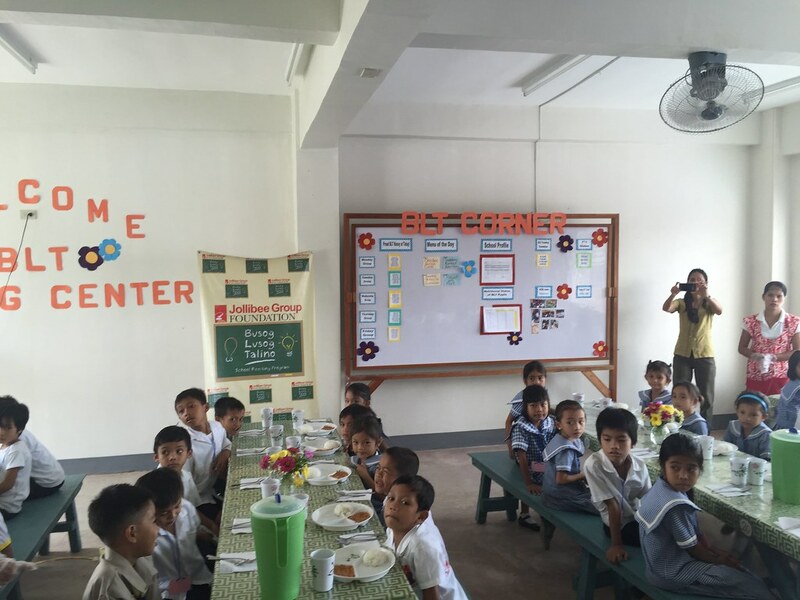 Currently the Jollibee Group Foundation has Pawing Elementary School as a beneficiary in its Busog Lusog Talino (BLT) program. Jollibee will also bring the Maaga ang Pasko caravan in Palo to provide kids with gifts of toys and books to help spread the early Christmas cheer. After the store opening, members of the Jollibee team will visit the Pawing Elementary school for a BLT feeding activity. Jollibee also launched the Jolli-istante project, which aims to provide book shelves and books to public in Palo during the ceremonial turnover at the Pawing Elementary School. The Jolli-Istante project is in partnership with Blink.com.ph, which will donate school and story books for the public schools in Palo. 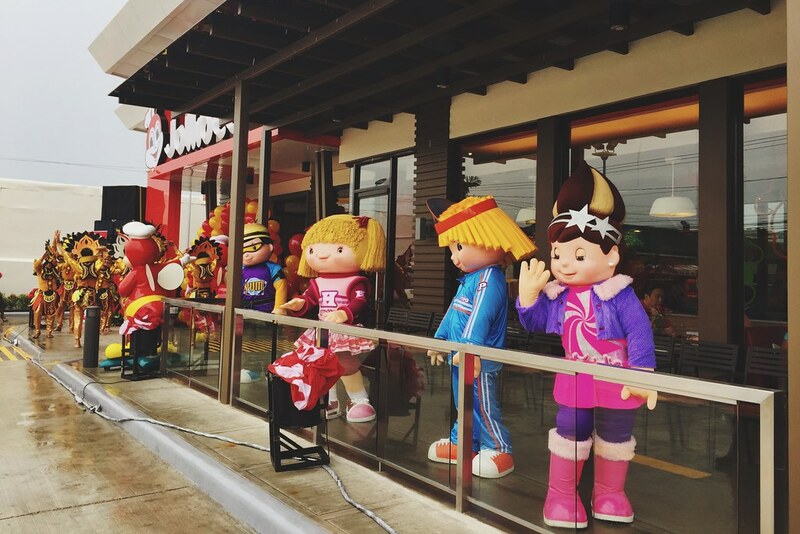 With the opening of the 900th store, Jollibee continues to bring langhap-sarap goodness to more families across the country. 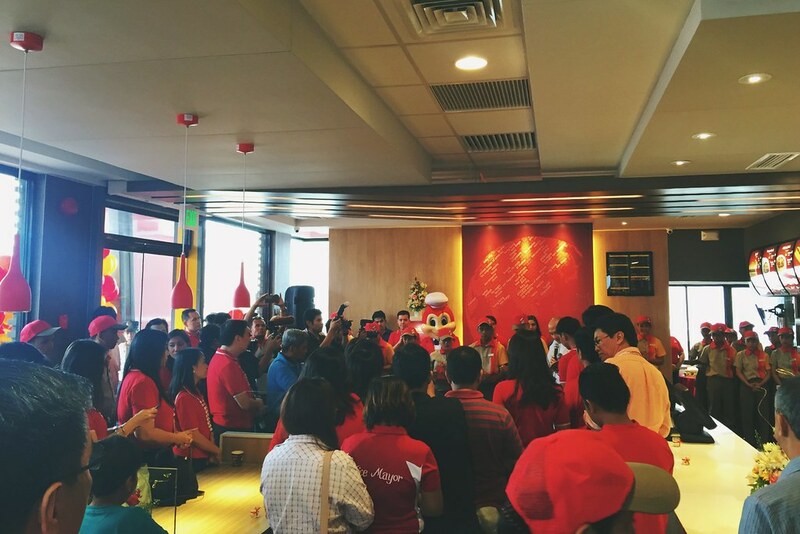 Jollibee Palo is the company's 10th store in Leyte and 112th in the Visayas region. "True to our brand promise of spreading the Joy of eating to more families, we are excited to bring the people of Palo a new reason to smile with the opening of our 900th store. We're hoping to provide them with a venue for family bonding while enjoying their favorite langhap-sarap treats," said Jollibee Regional Business Unit Head for Visayas, Ms. Shing Llanos. Jollibee Palo features a new modern design with a total floor area of 517 sqm and can seat 175 people. It offers dine-in, drive-thru, delivery, and Jollibee Kids Party. "Jollibee Palo is especially significant for us, considering what the families here have gone through. And for us to be given an opportunity to serve the people of Palo and bring joy to them the Jollibee way brings us a deeper sense of fulfillment," added Llanos.